Oppo F7 is yet another device from the Chinese smartphone manufacturer. The phone features great specifications. It spots a 6.23-inches screen which is protected by Corning Gorilla Glass 5. Oppo F7 has 4G enabled, rear-mounted fingerprint built in aluminum and Glass. The device came running on stock Android 8.0 Oreo which is powered by Mediatek Helio P60 chipset. The front camera has a 25MP setting while the rear camera is 16MP with flash. 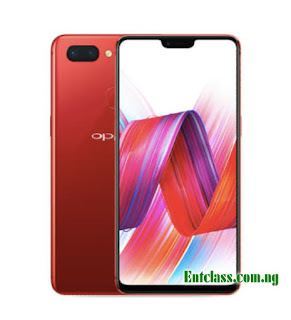 Oppo F7 would be coming in two different versions, one with 64 GB internal memory plus 4 GB RAM and the other with 128 GB internal memory and 6 GB RAM. Price About 270 EUR / $336 USD. But why is it that they are putting 3400mah battery capacity with the phone,despite the fact that the phone has nice RAM and ROM and protected with gorilla glass. Good to see the Chinese competing seriously with the bigger folks, I hope that they are also incinerating high safety standards as well.